Everyone wants to watch the best in the world compete. And if that "best" happens to comprise two dozen beautiful women in leather boots, tight pants and whips working up a sweat, well, so be it. Clear your calendar for Thursday afternoon, when the first-ever South Beach Women's Polo Cup hits the beach, awakening the polo fan buried deep within you. Come 3 p.m. tomorrow, you'll want to pony up to the sands behind the Setai hotel and behold a bevy of fetching fillies from Dubai, Holland, Colombia, Argentina, Brazil and the U.S. For a sampling, google "Paula Chermont" or "Melissa Hornung," dominant players who just happen to be models. 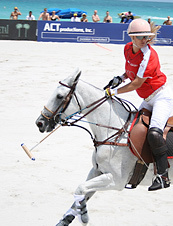 Speaking of coincidences, the women's horseplay precedes the Miami Beach Polo World Cup—the world's largest and most prestigious beach polo tournament. And while you might be willing to pay a few thousand dollars to see all this talent on display, it's actually free to watch. 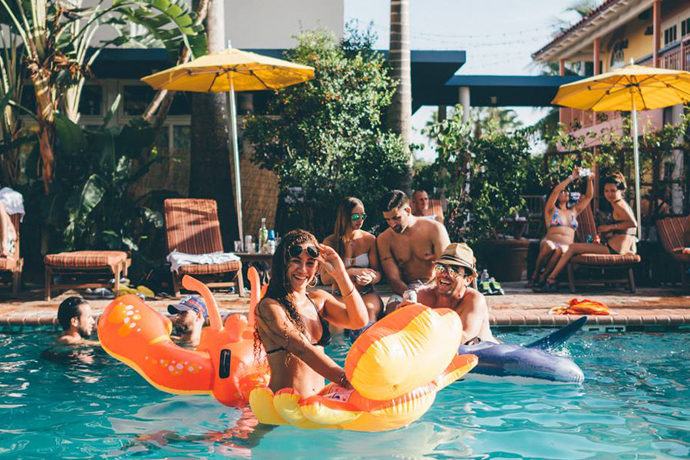 You'll also want to keep an eye out for nighttime afterparties at Louis and SET (where cropped pants and mallets are encouraged), and the four-day event wraps Sunday with a trophy presentation, live music and a beach bash.